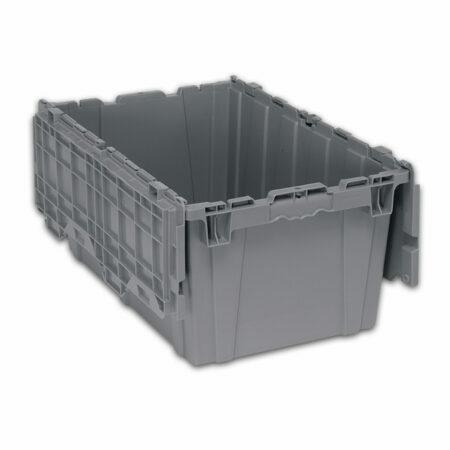 Our returnable-reusable Plastic Storage Containers can dramatically cut material handling and storage costs. 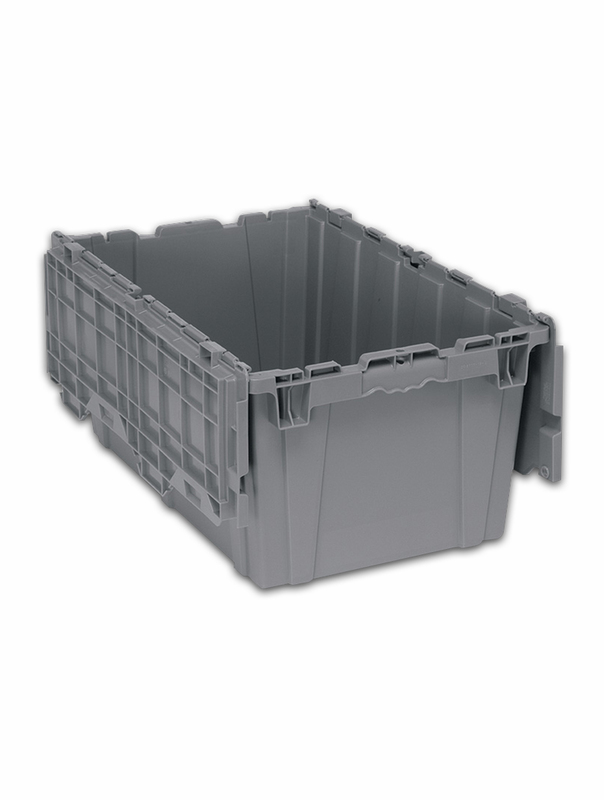 These containers are light-weight, yet strong and durable enough to allow for “two-way” use. They are easy to handle, stacked when in use or nested for return or storage. 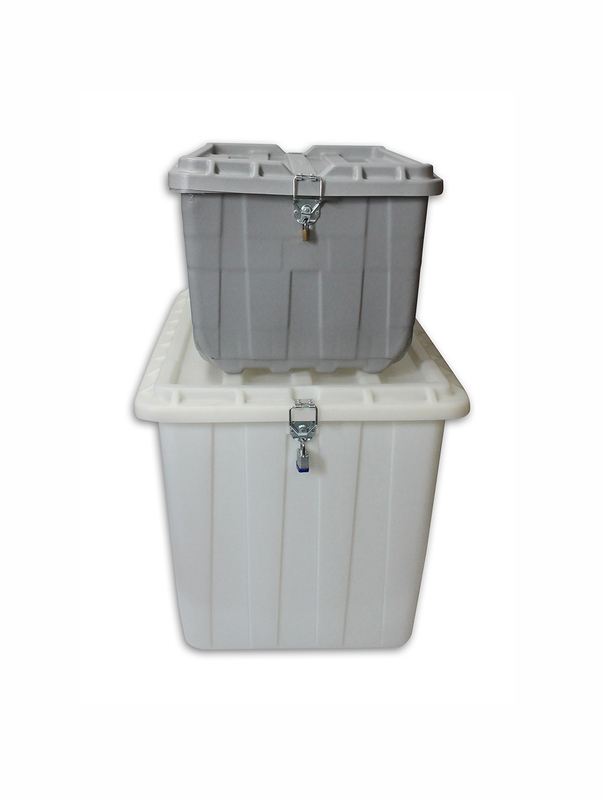 Seamless, waterproof and corrosion resistant, chemical resistant, and wear resistant, these totes and lids come with locking clasps to ensure content security and casters are available. 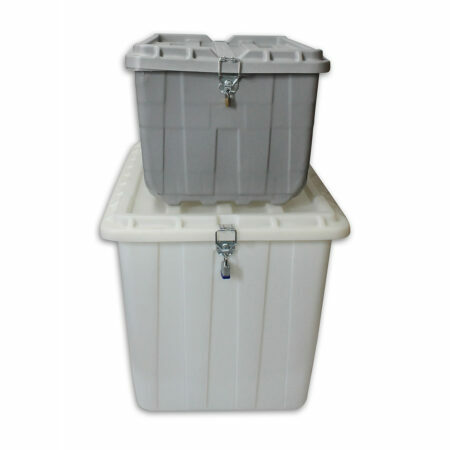 Permanently attached interlocking hinge top totes are reusable, durable, and convenient for storage, order picking, distribution, etc. Stackable for maximizing storage space and nestable when open and empty. 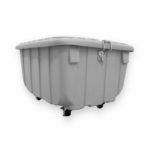 This large, multi-purpose hopper has a wide front opening providing easy access for large or small part storage. These bins will stack 6 high and create a tall, sturdy storage system for multiple uses. 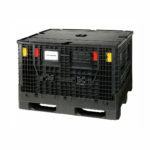 Plastic reusable hopper container, with hinged door, was designed for high-speed picking systems. 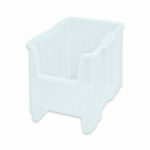 Contoured hopper opening for worker ease and comfort. 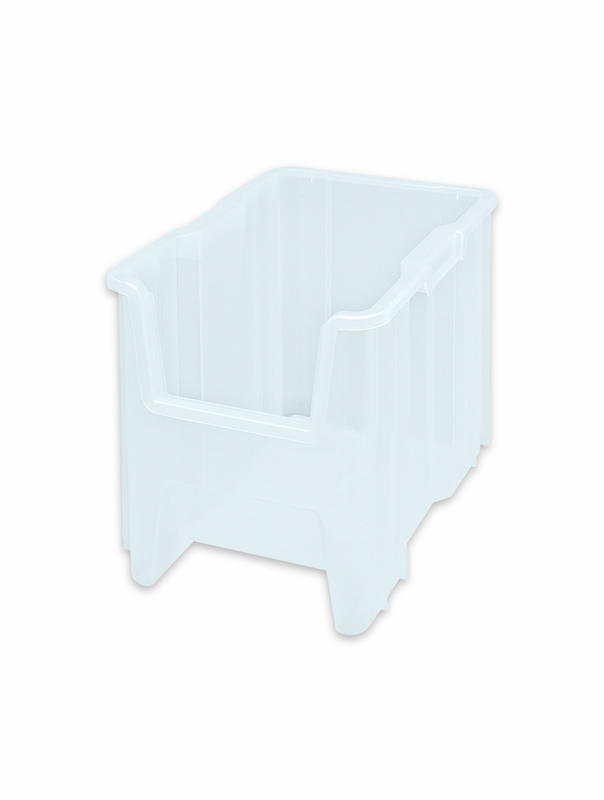 Smooth, drafted walls for easy handling and dimensional consistency for repeatable performance in picking systems. These plastic containers are fully recyclable at the end of their service life.